It’s no secret that the City of San Clemente has produced dozens of standout athletes in recent years. As the fall sports year comes to an end, we look back and highlight the performances put on by local athletes at the collegiate level, as well as provide a glimpse into the future for those who are gearing up for the 2014 season. Sophomore tackle Kyle Murphy has solidified his place on the No. 7 Stanford Cardinal depth chart over the course of the past two seasons. As a true freshman in 2012, Murphy was a regular in Stanford’s jumbo set formation, lining up at both the tight end and tackle positions. He played in all 14 games, including two starts, and averaged 25 snaps per contest. In 2013, Murphy played in 11 games and started against San Jose State, UCLA and USC, routinely being deployed as a blocking tight end. “He’s a big part of what they do offensively. He’s done a great job and next year he could have the opportunity to start at the right tackle position,” San Clemente High School head coach Jaime Ortiz said. Murphy and the Cardinal (10-2, 7-2 Pac-12) will play Arizona State (10-2, 8-1) on December 7 in the Pac-12 Championship game with a berth in the Rose Bowl on the line. Taking a page out of San Clemente alumni Travis Wilson’s playbook, Oregon State freshman Sean Harlow reaped the benefits of graduating San Clemente High School early to begin spring practice with the Beavers. By getting a head start on learning the playbook and meshing with his fellow offensive linemen, Harlow positioned himself to climb the ranks to starter in the coming years. 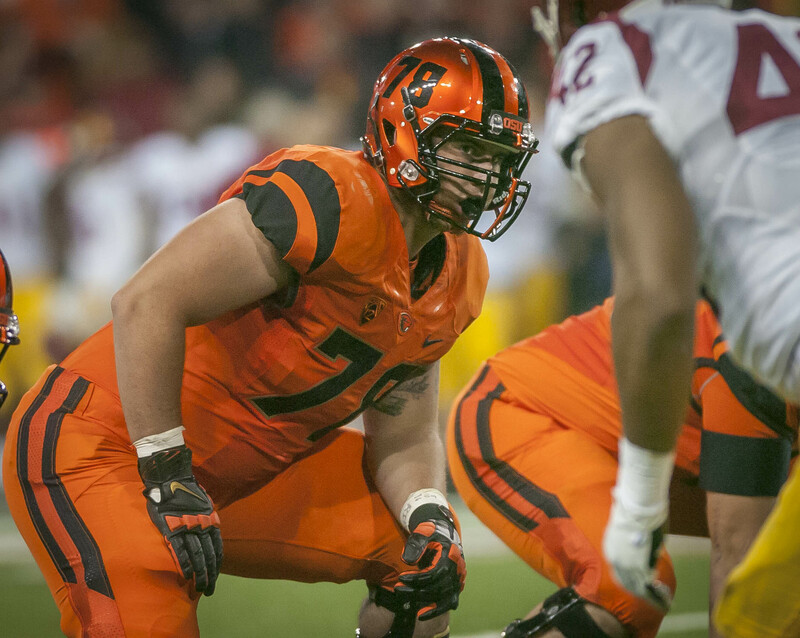 However, injuries plagued the Beavers offensive line early, forcing Harlow to relinquish his redshirt year and start as a true freshman. Harlow played in nine games and started in the final eight contests. San Clemente’s Christian Tober has been a reserve walk-on wide receiver and contributor on special teams for USC since 2012. Bret Miller, San Clemente High class of 2013, saw time as the backup kicker and punter for the University of Arizona football program. As a true freshman, Miller suited up for every Wildcat game and will be a part of the team when their respective bowl game is announced. San Clemente alumni Cassie Harberts is making her mark on the USC women’s basketball program. The 6-foot-2-inch forward is currently ranked No. 16 on the USC women’s basketball all-time scoring list with 1,293 career points. And as she enters her senior year with the Women of Troy, Harberts isn’t finished just yet. On November 26, Harberts was named to the Naismith Trophy Early Season Top 50 Watch List, which pegs 50 elite players who have the ability to claim collegiate basketball’s top individual honor at the end of the season. Harberts and the Women of Troy are off to a 5-3 start to their season, including a 79-52 win over Boston College on November 30 that saw Harberts lead all scorers with 19 points. 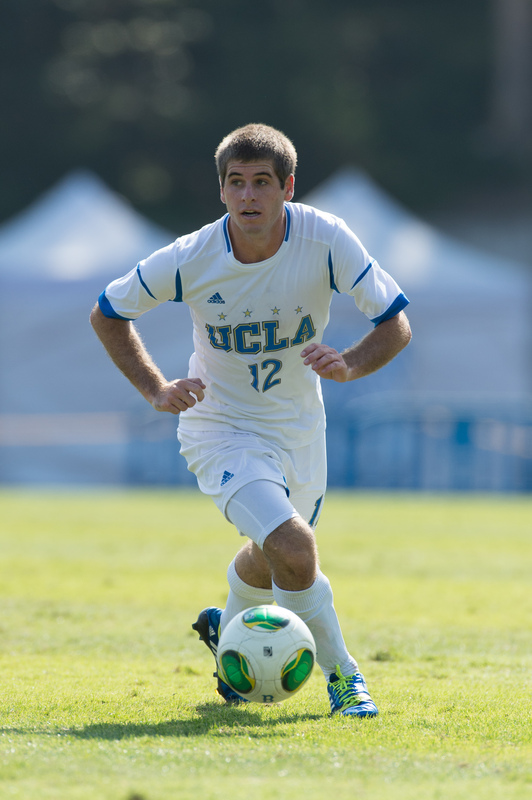 Freshman forward Gage Zerboni and the UCLA men’s soccer team barnstormed their way through the regular season to earn the No. 1overall seed in the NCAA Division 1Tournament, only to lose to Connecticut by way of penalty kicks in the third round on December 1. With 20 seconds left to play in the game against the Huskies, Zerboni made a crucial defensive clearance of a ball that threatened to break the 3-3 tie. Zerboni’s defensive play ensured an overtime period. Zerboni played in 14 games for the Bruins (12-3-5, 6-1-3), notching four goals and two assists on the season. San Clemente’s Dani Weatherholt helped propel the Santa Clara women’s soccer team to the Sweet 16 of the NCAA Division 1 Tournament this season. Weatherholt, a sophomore midfielder, played in all 22 games for the Broncos (16-4-2, 8-1 MAC) and contributed two goals.